The MMBC Continuum offers a variety of services to its members both corporate and M/WBE. 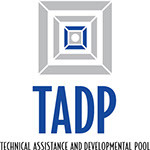 The Mid-South Minority Council TADP, Inc. (TADP) is a 501(c)(3) training and development program established in 2002 by the Mid-South Minority Business Council (MMBC). The TADP and The MMBC Continuum work together to bring world-class programs and services to MWBEs in the mid-south to promote minority economic development. Primarily first-generation business owners, minority and women-owned businesses lacked sound business structures, planning strategies, access to financial resources and management practices that promote growth and development. The programs and services of the TADP are tailored to the unique environment in which minority and women-owned businesses operate. Additionally, the breadth and depth of TADP programs and services highlight the experience and knowledge needed to advance minority economic development. Quarterly Training Seminars are formal professional development sessions that offer interactive instruction on various business topics. The information exchange is valuable and designed for immediate and practical application into M/WBE business operations. From learning how to price bids competitively to communicating your pedigree and sweet spot, the MBA seminars are an important investment of your time. TADP forms exclusive strategic partnerships with select providers who offer their services at discounted rates to minority and women-owned businesses. The TADP continually assesses new services and providers to ensure that M/WBEs are receiving the best technical assistance and consulting services at competitive prices. vallen@mmbc-memphis.org or call (901) 525-6512 for more information. Our "sweet spot" as an organization is knowing each M/WBE company intimately by gaining a clear understanding of member businesses in order to help them develop innovative growth strategies. We evaluate each company’s needs, review their business plan goals and objectives and offer a litany of "game changing" solutions. The MMBC Continuum’s Strategic Consulting Services offer solution(s) that best fit a member’s specific need(s). Our consulting services include: strategic growth plans, business valuation, business life cycle, industry reports, forecasting, joint venture/strategic alliances, creative problem solving, performance audits and much more. The Center for Emerging Entrepreneurial Development (CEED) is the mid-south's only small business incubator exclusively for minority and women-owned businesses. Launched in 2007 by the Mid-South Minority Business Council Continuum (The MMBC Continuum), the CEED was established to identify, grow and nurture minority businesses operating in industries where there are few, if any, minority-owned businesses. These segments represent the highest potential of growing minority business in Memphis and Shelby County. The CEED currently serves minority-owned businesses in the following industries: commercial labeling and packaging, construction steel/metal fabrication, document management and medical device coating & finishing. Statistics show that incubator programs are highly successful. A study by the National Business Incubator Association found that for every $1 in estimated public operating subsidy to an incubator, incubators generated approximately $30 in local tax revenue alone. Contact Dino Hull, MBDA Executive Director at dhull@mmbc-memphis.org, (901) 528-1432 for more information about the CEED. A program of the Mid-South Minority Business Council Continuum, the Memphis Business Academy was launched in 2002 to transition high-potential minority and women business owners from entrepreneurs to CEOs. The core program focuses on the strategies and skills necessary to build and manage scalable business enterprises. Over 40 businesses have participated in the Memphis Business Academy. Successful graduates include David Boyd of D’bo’s Wings & Things, Melvin Bledsoe of Blues City Tours, Charles Ewing of Ewing Moving and Patrick Neely of Neely’s Bar-B-Que. Along with the Mid-South Minority Business Council Continuum, founding partners include Memphis Light, Gas and Water, the Tennessee Valley Authority and the Greater Memphis Chamber. Other supporters include AutoZone, Memphis Area Transit Authority and Methodist Le Bonheur Healthcare. Today the MBA program is the umbrella for all training and development programs. In 2011, the Memphis Business Academy added an advanced training course, “Financial Management for the Closely Held Business”. This advanced course teaches business owners how to uncover opportunities hidden in their company’s financial statements and how to gain valuable, bottom-line insights into profit planning, cash budgeting and growth planning. For more information about the Memphis Business Academy, contact Vertanya Allen, Director of Core Development, (901) 525-6512.
Business Resource Gateway (BRG) is an exciting new online resource for M/WBEs seeking business development resources to accelerate their growth, development and competitiveness. Click HERE to learn more. Making the Right Connections .... The Heart of What We Do! The MMBC Continuum's primary role is to strengthen the economics of the community. We take that role seriously and are focused on not just making any connection, but our goal is to make the right connection. Matchmaking is truly at the heart of everything we do. At The MMBC Continuum, we work directly with corporations to understand their needs and then we strategically match those needs with capable M/WBEs that have the ability to compete on price, quality and service. As well, we encourage M/WBEs to clearly communicate the value or solution that they can provide to the corporation. The "Dial-up", Strategic Fits and Strategic Transactions are all part of what we do to make the right connection! The MMBC Continuum recognized the growth needs of minority-owned businesses and has developed programs to assist these firms with growing their businesses. Consequently, The MMBC Continuum Working Capital Loan Fund (WCLF) was started for the purpose of providing access to working capital funds for M/WBEs in construction related industries. The working capital loan fund is available to MMBC Continuum M/WBE members with contracts awarded by MMBC Continuum corporate members. For more information contact Working Capital Loan Manager at (901) 525-6512. Access to BRG is a MMBC Continuum member benefit and therefore, limited to MMBC Continuum. Click here to begin the membership registration process.